Amazon recently invited us to write about our lives as independent, or indie, authors. To be fair, they extended the invitation to all indie authors whose work is self-published via KDP, or Kindle Direct Publishing, and via CreateSpace, Amazon’s print publishing arm. However, vain as we are, we prefer to consider it an exclusive invitation. Like most indie authors, we need little excuse to talk about our work, or ourselves for that matter, so here goes. We are Lance and James Morcan, a New Zealand father-and-son writing team. Lance resides in New Zealand while James is based in Sydney, Australia. Together, we’ve co-authored and self-published more than 20 novels and non-fiction books – all under the banner of our publishing company Sterling Gate Books and all exclusive to Amazon. Lance and James…the Morcan writing team. We are also screenwriters and have put several adaptations of our novels into development as feature films with our production company Morcan Motion Pictures. These include our international thrillers Silent Fear and The Ninth Orphan, and our historical adventures Fiji, White Spirit and Into the Americas. Our other novels comprise The Orphan Factory, The Orphan Uprising and World Odyssey. Screenplay adaptations of these are also planned. Our journeys as indie authors began over a decade ago when we co-wrote our first novels, The Ninth Orphan and Fiji. After receiving countless rejections from London and New York publishers, we decided to put our destiny into our own hands and form our own publishing company. That was in 2011, and it was a smart move. We recommend this course of action to all authors who may be struggling to get noticed. We spent months researching the best online publishing platform for our work. After considering all the options, we arrived at the resounding conclusion there was, and is, only one platform worth considering – and that’s Amazon. Why? Well, check out Amazon’s global market share for starters. Its book marketing platform is unrivaled. They’ve cornered the self-publishing market. Not convinced? Compare Amazon and its DIY print business CreateSpace with other major players such as Lulu, Smashwords, AuthorHouse and Blurb. There’s no comparison. And then there’s Amazon’s KDP Select (KDPS), which, in a nutshell, requires exclusivity of authors for their eBooks. We opted to commit to KDPS. It’s a decision we’ve never regretted. The global reach, higher royalties, Kindle Countdown Deals, free promotions and commissions for book borrows (through Kindle Unlimited) were what most attracted us. However, the full benefits of enrolling with KDPS are too many to list here. If you’re interested, Google “benefits of KDP Select” and scan some of the 1,000 plus entries. Our first experience with a Kindle book set the pattern for us. 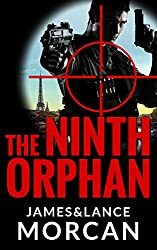 Following a seven-day freebie, or free promotion, our thriller The Ninth Orphan achieved the #1 ranking, albeit briefly, in the Spy genre on Amazon.com and Amazon UK during the period December 2011 to January 2012. Not bad for first-time, unknown authors from Down Under! Writing and brainstorming ideas some 1300 miles apart, separated as we are by the Tasman Sea, aka the Ditch, does present its problems even in this modern era. Unreliable Skype connections, mislaid emails and occasionally faulty WattsApp telephone conferences aside, we get by. And then there’s the inevitable creative differences. These are accentuated no doubt by the father-son relationship and by the generation gap. However, we view these differences as strengths rather than weaknesses. We are our own toughest critics; we keep each other honest as writers, which helps maintain high standards, and we collectively understand what readers from our respective generations are looking for. That’s the theory anyway. It seems to work! It seems to work for other father-son writing teams, too. 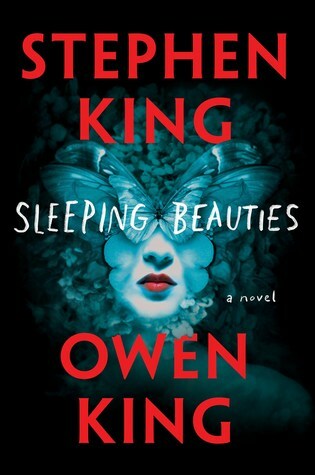 Just last month, bestselling author Stephen King and son Owen King released Sleeping Beauties in what’s described as a “spectacular father/son collaboration.” This supernatural thriller, incidentally, is selling as a Kindle ebook, hardcover and paperback on, you guessed it, Amazon. Our non-fiction books include The Orphan Conspiracies, which highlights and expands on the 29 conspiracy theories covered in our international thriller series The Orphan Trilogy. Perhaps our most controversial book is also our latest non-fiction book, Debunking Holocaust Denial Theories: Two Non-Jews Affirm the Historicity of the Nazi Genocide. It’s controversial because it has attracted the ire of Holocaust deniers and so-called revisionists, and has even prompted the publication of books whose sole aim is to denigrate our book. 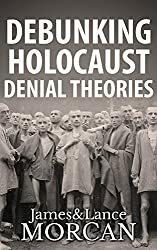 With a foreword by Holocaust survivor Hetty E. Verolme (author of The Children’s House of Belsen), Debunking Holocaust Denial Theories was written in close consultation with Holocaust survivors and World War Two historians. Its message, we believe, is important because the spectre of anti-Semitism is rearing its ugly head again. We have published seven books so far in our Underground Knowledge Series – the most popular being Genius Intelligence, Underground Bases and The Catcher in the Rye Enigma. In addition, we have secured 24 foreign rights agreements for the translation of our books into Arabic, German, Spanish, French, Portuguese, Italian, Afrikaans, Norwegian and Dutch with more contracts pending. These are available across a wide number of retailers internationally, including Amazon. 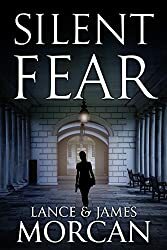 Our current focus is on our new release crime-thriller Silent Fear (A novel inspired by true crimes), which was launched as a paperback on Amazon just a week ago. The Kindle eBook version is available via Amazon Pre-orders and will be auto-delivered to buyers’ Kindles on October 31st. Dedicated to the many millions of deaf people around the world, Silent Fear was inspired by the murders of several deaf students at Gallaudet University, one of the world’s most prestigious learning institutions for the deaf, in Washington, D.C.
A decade in the making, it was written under the guidance of leading deaf filmmaker Brent Macpherson whose commentary on the unique aspects of deaf culture the story covers appears at the end of the book. Together, the Morcans and Macpherson are developing a feature film adaptation of Silent Fear. A final word for any new or would-be authors out there who may feel daunted at the prospect of having to find a home for their book after having shed blood, sweat and tears, over months or possibly years, and who are wondering what the hell to do next. Do your due diligence, of course, and don’t take our word for it, but we recommend the following course of action based on our personal experience. Take control of your destiny and self-publish. If literary agents and publishing company editors don’t recognise your literary gem or masterpiece, that doesn’t automatically mean readers won’t resonate with it. However, readers won’t be able to respond or resonate if your manuscript remains hidden. Consider Amazon as your first choice publishing platform, take the bull by the horns and become a KDP Select author. It worked for us!